With the end of year approaching, it is a good time to review some of the new laws enacted in California during 2011 that impact our local community associations. It’s that time of year again. With the end of year approaching, it is a good time to review some of the new laws enacted in California during 2011 that impact our local community associations. This is not a complete list of all new legislation, but rather brief summaries of the statutes and cases that will likely have the biggest impact on California HOAs. Any community association or manager that has questions on the impact of a new law should consult with their corporate counsel for clarification and details. As many directors and managers already know, the time it takes to successfully run an association can be significant. One of the tools that boards have often used to efficiently handle issues that are not the subject of debate has been the Action Without Meeting, or “AWOM.” Well, no more. This amendment to the Open Meeting Act eliminates a board’s ability take action without a meeting. SB 563 prohibits boards from acting via email with the very limited exception of emergency meetings. Emergency meetings may be called “if there are circumstances that could not have been reasonably foreseen which require immediate attention and possible action by the board, and which of necessity make it impracticable to provide notice” as would otherwise be required. However, before a board can hold an emergency meeting via “electronic transmission” all members of the board, individually or collectively, must consent in writing to that action (the consent can be transmitted electronically, such as in an email), and the written consent must be filed with the minutes of the meeting of the board. In addition to eliminating the AWOM, AB 563 also requires that members of the association be given at least two days notice for a meeting that will be held solely in executive session, and changes the rules for holding a meeting via teleconference. Under the new law, if a board meets via teleconference, the association must specify a physical location where members can attend in person and listen to the meeting. In addition, at least one board member must be physically present at the identified meeting location. Lastly, the statute broadens the current definition of a meeting of the board from “any congregation of a majority of the members of the board at the same time and place to hear, discuss, or deliberate upon any item of business scheduled to be heard by the board” to “any congregation of a majority of the members of the board at the same time and place to hear, discuss, or deliberate upon any item of business that is within the authority of the board,” and includes in the definition of meeting, meetings by teleconference in which a majority of the board members, in different locations, are connected by electronic means, such as audio, video, or both. “Item of business” is defined as any action within the authority of the board, except those actions that the board has validly delegated to any other person or persons, managing agent, officer of the association, or committee of the board comprising less than a majority of the directors. 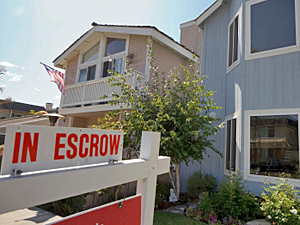 Associations are currently required to provide certain documents and information when the documents are requested by an escrow agent upon the sale of a unit. Under the new law, if requested, sellers are also required to provide twelve months of board meeting minutes. In addition, in responding to a record request, associations must now use a specific form set forth in new Civil Code section 1368.2 in responding to the request. New Civil Code section 1368.2 provides a form that associations must use in fulfilling a record request pursuant to Civil Code Section 1368. Lastly, associations may charge a reasonable fee based on the actual costs incurred to provide the requested documents and information; however, no such fee is permitted if the documents and information are to be delivered electronically. SB 150 limits the ability to restrict rentals within community associations. Previously, community associations had the ability to amend their Governing Documents to restrict rentals so long as the amendment was reasonable and have the restriction apply equally to all owners. Under the new law, any amendment designed to prohibit renting of property in an association will only apply to owners who purchase the property after the amendment to the Governing Documents takes effect. In dealing with the new law and rental restrictions one must first ask “does it apply?” The new law is “prospective.” This means the law only applies to rental restrictions adopted on or after January 1, 2012. Rental restrictions were established prior to 2012 are not affected. What About Rental Restrictions Adopted After January 1, 2012? All owners who already owned their property prior to the post January 1, 2012, rental restriction would be “grandfathered” in and would be able to rent anytime they want, until they transfer title to their property. The new law will define types of transfers. Some will allow the new owner to keep the “grandfathered” status (for example, when an owner transfers title into his or her own living trust, or gives title to a child, or the property is inherited). For other transfers (routine sales of property), the new owner will not be “grandfathered” in and may or may not be able to rent, depending on how many other properties are rented in the community at the time. Disclosures in escrows will need to include clear information about limitations on rentals in each specific community beginning January 1, 2012. This will include then need to provide information about both whether the association has a restriction on rentals and information what rental limitations are in place. • The new law does not apply to commercial common interest developments. They may continue to enact rental restrictions without regard for the provisions of the new law. • While it is not absolutely clear (and it won’t be until a court decides the issue), it appears that only “prohibitions” are outlawed; lesser restrictions, such as 30-day minimums or requirements that only the entire dwelling may be rented, might be permitted under the new law. • The new law adds a requirement that, prior to renting or leasing a dwelling, an owner “shall provide the association verification of the date the owner acquired title and the name and contact information of the prospective tenant or the tenant’s representative.” How this will be enforced is yet to be seen. 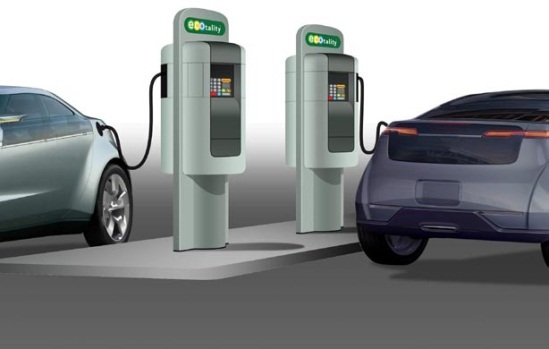 SB 209 restricts an association’s ability to prohibit the installation of electric vehicle charging stations (“EVCs”), and renders void and unenforceable any provision that prohibits or restricts the installation or use of an EVC. However, associations retain the right to impose “reasonable restrictions” on the installation of EVCs. Such “reasonable restrictions” are those that “do not significantly increase the cost of the [EVC] or significantly decrease its efficiency or specified performance.” In addition, the stations are required to meet applicable health and safety standards and to comply with the Building Code requirements. Associations are required to process applications for approval for the installation of charging stations, if applications for architectural modification are required by the association’s governing documents, in the same manner as other applications for architectural modifications. Approval or denial is required to be in writing, and the association’s approval cannot be willfully avoided or delayed. Other requirements to installation of EVC’s include that owners wanting to install them hire a licensed contractor for the installation, provide a certificate of insurance in the amount of at least $1,000,000, which names the association as an additional insured. Additionally, the owner must pay the costs of electricity associated with the station, and shall be responsible for all damage to the station, common areas, exclusive use common areas or units caused by the station. The owner must also be responsible for all maintenance, removal, repair and replacement of the station and must disclose the existence of the station to prospective purchasers. 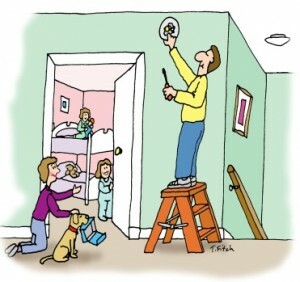 SB 183 requires the presence of carbon monoxide (“CO”) detectors in all “single family dwelling units intended for human habitation” and “…having a fossil fuel burning heater or appliance, fireplace, or an attached garage” beginning July 1, 2011 and for all other dwelling units by January 1, 2013. This law impacts any association which has taken title to property and is renting it out. Click Here to Download a PDF version of our 2012 Legislative Update.